Seeking to increase milk production by developing indigenous breeds of cows, the government has decided to set up two national centres which will be dedicated to develop new breeds of 'desi' cows and support a network of 'Integrated Indigenous Cattle Centres' across the country. 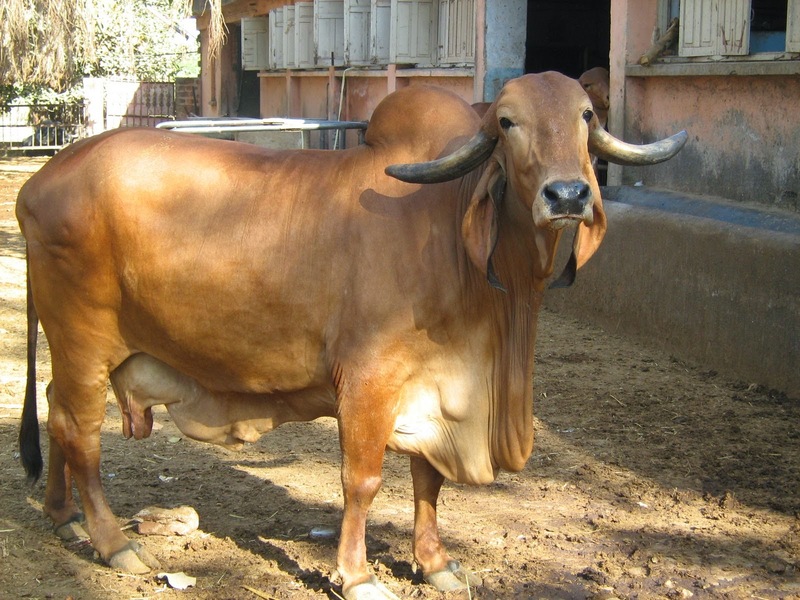 Known as 'National Kamdhenu Breeding Centre', one national centre will be set up in north and the other in south India during the current financial year. These centres will work to upgrade nondescript cattle (cows) using elite indigenous breeds like Gir, Sahiwal, Rathi, Deoni, Tharparkar and Red Sindhi. It will not only improve the genetic makeup of 'desi' breeds of cows but also increase their stock. It will be established under the ongoing 'National Gokul Mission', comprising a number of other proposals, to enhance the productivity of indigenous breeds of cows through professional farm management and superior nutrition. All these proposals and modalities for their implementation will be discussed in a meeting of state animal husbandry ministers here on September 16. Union agriculture minister Radha Mohan Singh will on September 19 announce the concrete plan while sharing details of his ministry's achievements and initiatives during the first 100 days of the new government. Under the 'National Gokul Mission', which has got Rs 500 crore under 12th plan and additional Rs 150 crore during 2014-15, the government will also set up a number of 'Integrated Indigenous Cattle Centres' - called 'Gokul Gram' -- across the country. Gokul Gram will function as state of the art training centre for farmers and breeders. "These initiatives are necessitated keeping in mind growing demand of milk in the country," said an agriculture ministry official while referring to the latest projection of future demand of milk. Being the world's largest producer and consumer, India produced 140 million tones (MT) of milk during 2013-14 as against 132.4 MT in 2012-13. The National Dairy Development Board (NDDB) has, however, projected that the country's demand for milk is expected to be around 155 MT in 2016-17 and 200 MT in 2021-22. "Keeping this projection in mind, the country will have to increase its average incremental milk production from 4 MT in the past 10 years to 7.8 MT in the next eight years," said the official. Though foreign breeds of cows helped in increasing milk production substantially over the years, the cost of keeping those breeds in good (high-yield) health has made it an expensive proposition for average villagers/farmers who maintain cattle to enhance their income. The concept of 'Gokul Gram' is, therefore, conceived in such a way that it will help both farmers and breeders. Establishment of Breeder's Societies (Gopalan Sangh) and extending incentive to farmers for maintaining elite animals of indigenous breeds are also planned under the 'National Gokul Mission'. Giving award to farmers (Gopal Ratna) and breeders' societies, organization of 'milk yield competitions' for indigenous breeds and organization of training programme for technical and non-technical personnel working at various institutions engaged in indigenous cattle development are also part of the National Mission.